Developing ways to integrate technology considerations into medium and long-term strategic decision making. Investing in the right technologies over the lifecycle of products and businesses places great demands on management and decision processes. Our research in this area aims to help managers with insights into technology planning, understanding technology trends and breakthroughs, sourcing technologies and assessing their value to the business. Practical relevance is emphasised through a focus on management processes and tools, underpinned by well-founded conceptual frameworks. 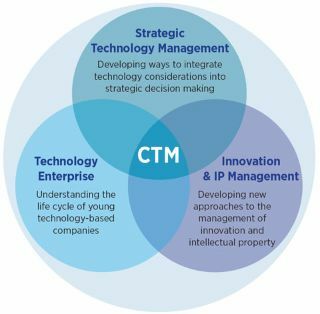 Focusing on technological innovation, the role of intellectual property and developing new approaches to the management of innovation. Innovation management is widely recognised as a key part of many firms’ strategic thinking and management efforts. It has become an area of rapidly growing interest from academia and industry. With a focus on technological innovation and the role of intellectual property (IP), our research aims to develop improved understanding of innovation and the associated management issues. We aim to provide support to those managing innovation through practical engagement of firms in research. Understanding the life cycle of young, technology-based companies. The Technology Enterprise Group (TEG) is a network of researchers and associates focused on research and education relating to the origins, start-up and growth of technology-based ventures and their impact upon the economy. TEG research is focused around three themes: open innovation, investment, and university-industry knowledge exchange. TEG members are also involved in a range of knowledge exchange programmes including i-Teams, the University Enterprise Network and Cambridge University Entrepreneurs.